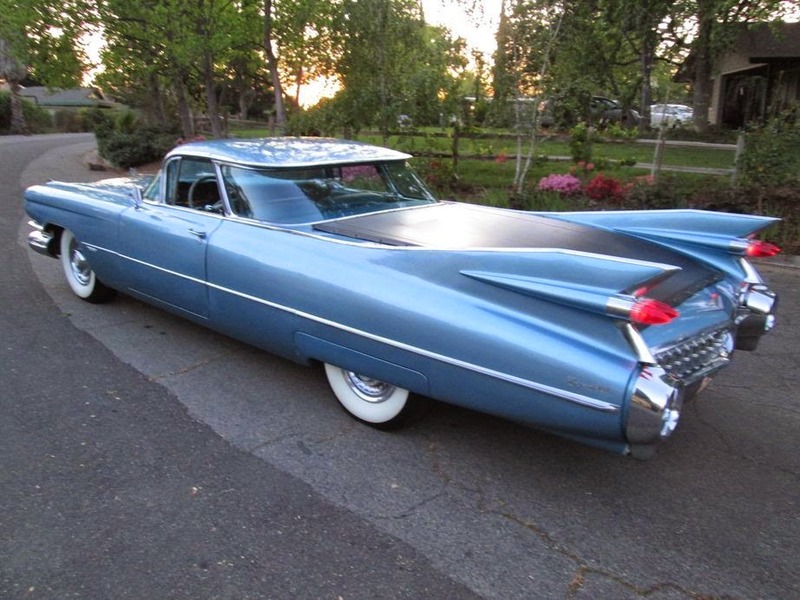 Imagine you were a young man in 1959 who wanted the class and style of gigantic '59 Caddy tail fins but needed to haul around junk for your gardening business. Regrettably, the short sighted product planners in GM's Cadillac division offered nothing for the consumer that added the giant fins to a pickup body, so naturally this next thing was created by a craftsman in his garage. 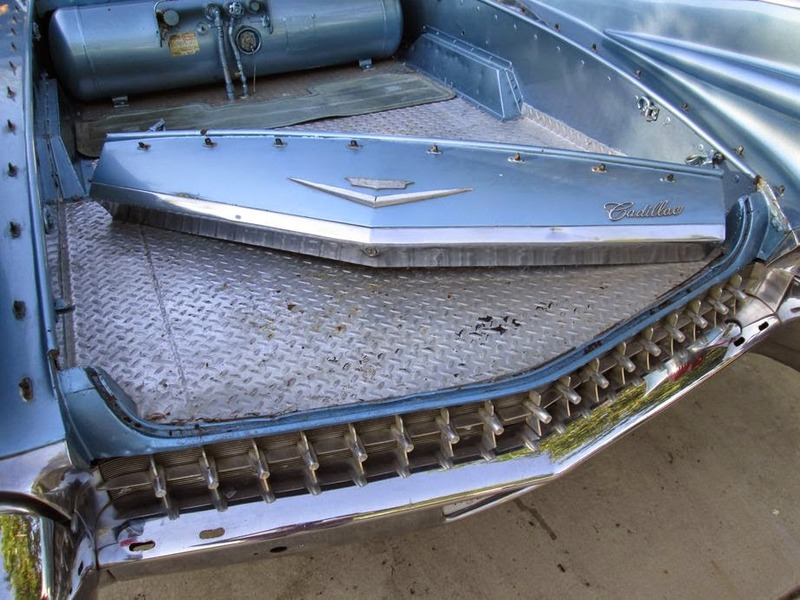 Find this 1959 Cadillac DeVille El Camino here on eBay currently bidding for $25,700 with 3 days to go, located in Sacramento, CA. Tip from ESK. 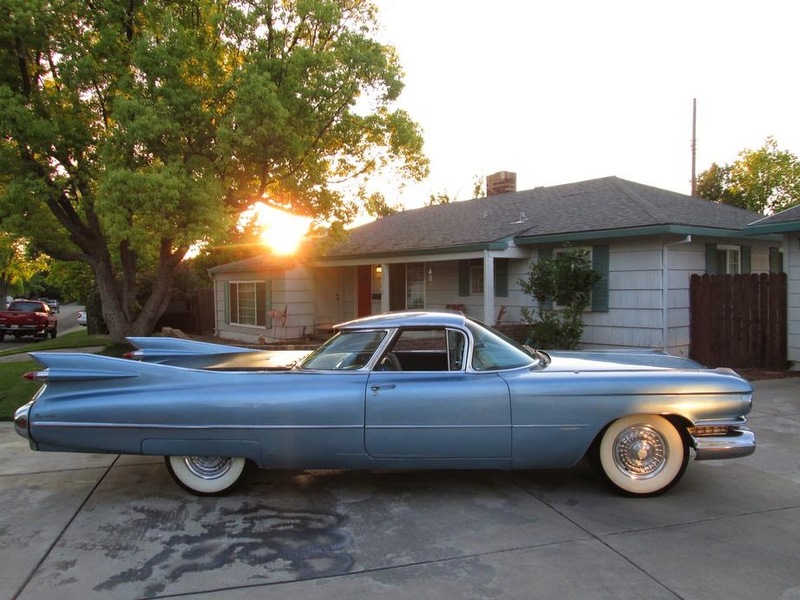 The 1959 Cadillac was the peak of automotive tailfins and chrome design excess and in the bygone eras before $100K Corvettes,they were the car to sell at the Barret Jackson Auctions. Some inspired maniac grabbed one before they were obscenely expensive and created this incredible custom. 8 to be burned for fuel. I love the look of this. Someone had good eyes for the roof line and glass. Too bad they didn't continue the inspiration all the way to the tailgate, which is a letdown. The whole bed area just seems to have been a low-class afterthought. I imagine there were funeral "flower cars" that could have provided a better direction for the bed. Nonetheless, I am glad this thing exists. It has "presence". Oh, but the propane conversion? Why? Totally agree! That ultra short roofline accentuates the overhang on the back glass, which is barely noticeable on a four door, but now becomes more of a cockpit-like bubble that really adds to the rocket ship themed taillights. This could have been off the awesome scale if they'd just turned it into a 2dr 'business coupe'. That's exactly what this is, an all business coupe! Take the lady friend out for dinner and then lay down in the bed to watch the meteor shower. Just get rid of the diamond plate and put in some extra quilted plushy bedding. 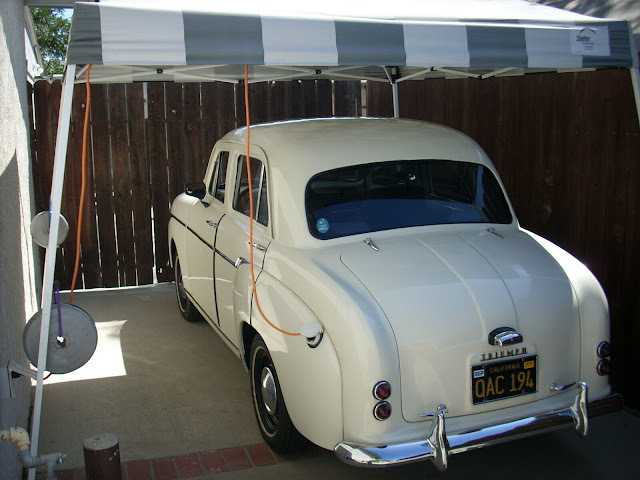 Mid 70s gas price increases were probably the driving force for propane. I can't imagine an excuse for the rest of it. Bobinnot hit the nail on the head with the comment about the back being a letdown. Yeah, I remember Dad had a couple of the gas powered trucks at the family business converted to propane back in the early 70's. Well, this one has made the rounds of all the special interest auto boards that I read daily. What??? Are you guys reading each others mail? Yeah, I hang out on one of those other sites when I feel like getting dressed up, but when I am in my garage clothes, it is DT all the way! Is this the official DT new employee orientation video? You decide. "A most potent iteration of the El Cadmino. Love the way it evokes a speed boat crossing Lake Mead leaving the most fantastic wake." "The second picture in the series (lower left of the photo), that pink thing leaning on the rebar looks like a VW fan shroud. Wonder what that project could be?" I like that he spotted the VW fan shroud in the red bark.